Roll on over to your favorite restaurant. Scott Elmquist It's a week of discounts if you ride your bike instead of driving to a restaurant. It’s an opportunity for zero-sum eating: Bike Walk RVA is throwing its first restaurant week from Sept. 17-21. Restaurants that have signed on will offer discounts or promotions to customers who ride over, instead of driving over. And if you’d like a little guidance, Bike Walk RVA will lead cycling tours each night to get you more comfortable with Richmond’s bike-friendly developments. 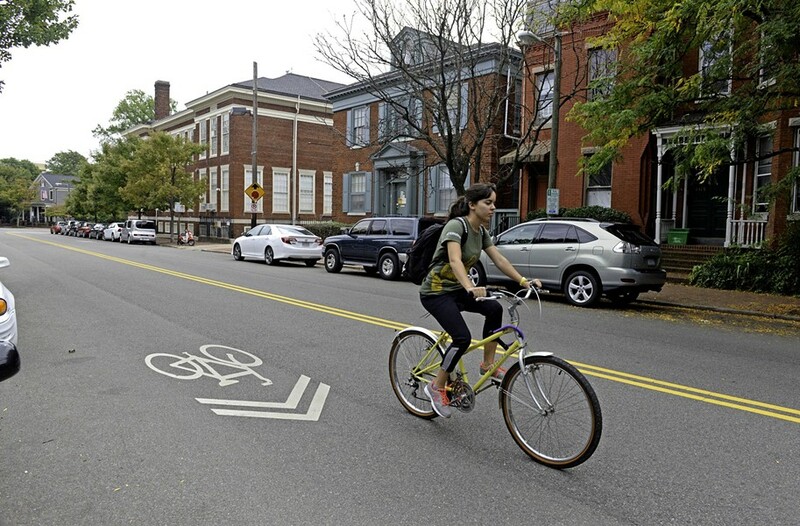 “There is nothing quite like a casual evening ride with friends or family to your favorite local restaurant or exploring a new neighborhood on two wheels to try a new place to eat,” said Brantley Tyndall, community engagement manager for Bike Walk RVA in a news release. There are a whole bunch of restaurants participating — the Roosevelt, Casa del Barco, Stir Crazy, Lunch/Supper, even Ellwood Thompson’s Local Market. Here’s a link to the list so you can check out the ones in your neighborhood. Or, hey — crazy thought: Why don’t you cycle on over to another neighborhood to try something different or to burn off a few extra calories? You may even be able to borrow a bike with the new RVA Bike Share program.